I have a step by step tutorial if you would like to have a go too. Start off by stamping a few textures around the edges of the canvas. Next apply a stencil mask to the center. Spray with the bronze acrylic ink and allow first layer to fully dry. 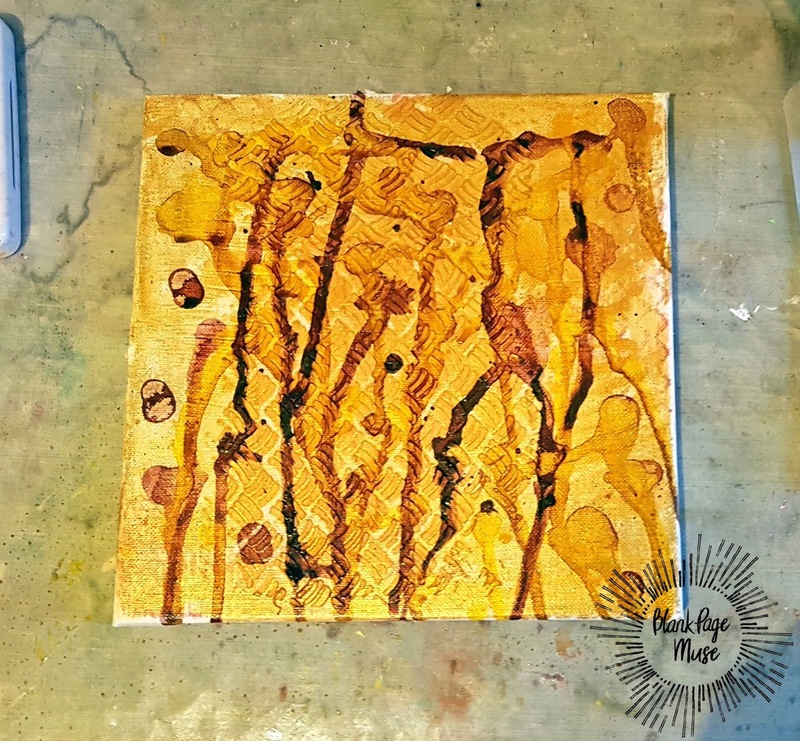 Flick on yellow ink and allow to drip down the canvas, dry with heat tool. 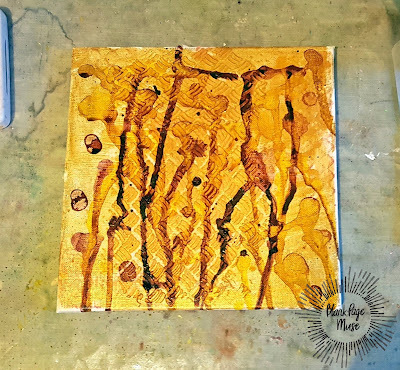 Next drip on dark red ink and drip it down the canvas, allow it to mix a little with the yellow before drying it off. Stamp over the Chain Link Background Stamp using red Archival Ink. 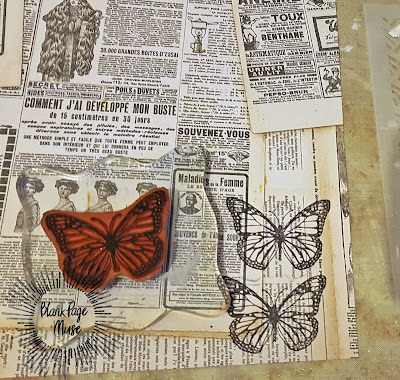 Stamp the butterflies of all sizes onto the vintage newsprint paper and cut out. 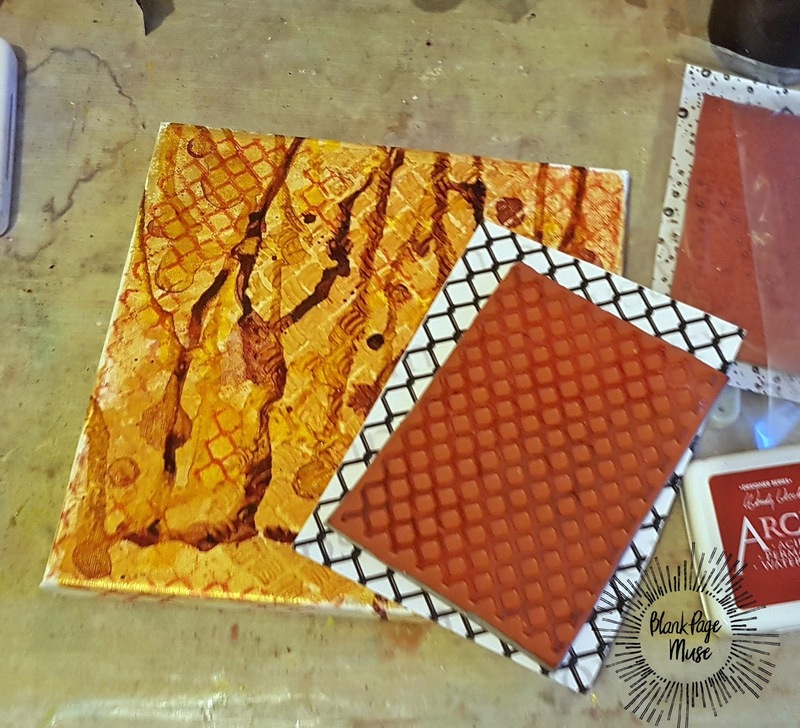 Adhere to canvas from large to small using 3D foam pads. 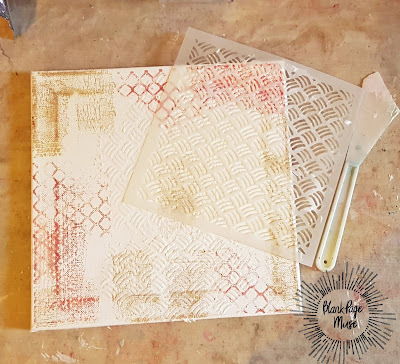 Finish off by stamping out a sentiment onto card and adding to canvas. Such a cool piece Katie! 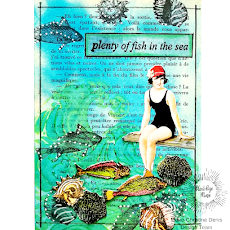 Love how you used that background stamp! "KISS" Keep it Simple Stupid!